I am a 23-year-old student and I have always been an avid gamer. I like playing games on both PC and Android. Role-playing games and strategy-based ones have always been my favourites. I first came across IGG's 'Lords Mobile' on the 'pocket money' app. This game is an amazing blend of real-time strategy and roleplay elements. I absolutely love the open world element in the game, which allows the players to migrate to any kingdom they want. The playing area is also huge, with each kingdom having 1 base and 6 forts. The gameplay is varied and unique. There are so many things to do that it never gets boring. You can play the single player skirmishes with your entire army at your disposal or you can use your heroes to fight the hero chapters. Looking for some PvP? 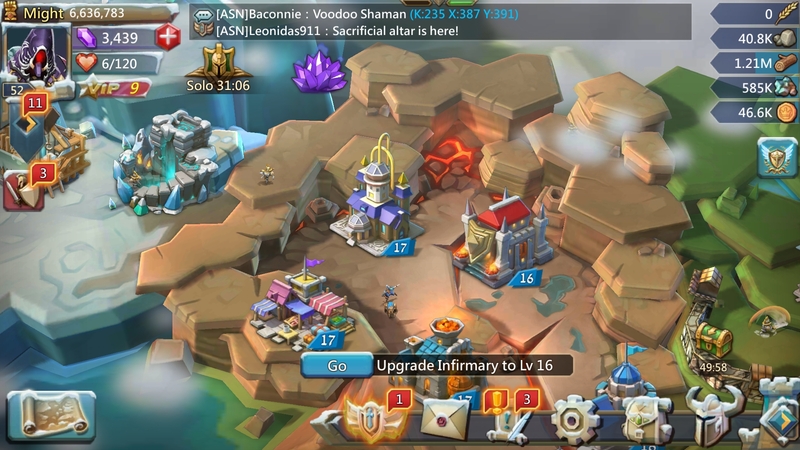 Why not try the colosseum or raid other players' castles. The co-op elements are also amazing. You can rally darkness, high might castles and wonders with the help of your guild mates. The cherry on top of the cake is the monster hunting. You can hunt monsters with the help of your guild mates to get amazing rewards. The recently incorporated familiar system has breathed new life into the game. You can now train your own monsters and power them up for special bonuses. You can also launch attacks on shielded targets using the familiar's attack skill. My favourite experience while playing this game has been the guild bash. The entire guild came together and we worked hard. By completing hell events and rallying dark nests we were able to earn points and summon a hoarder monster. The summoning bonus was a chest full of gems and the kill bonus was a chest full of holy stars. It was an amazing experience. This game has players from all over the world and the playing community is very helpful and friendly. According to me, this is the best strategy-based game available in the playstore and it is a must try for all gamers. For all the new players out there I would like to give a few suggestions and ideas. 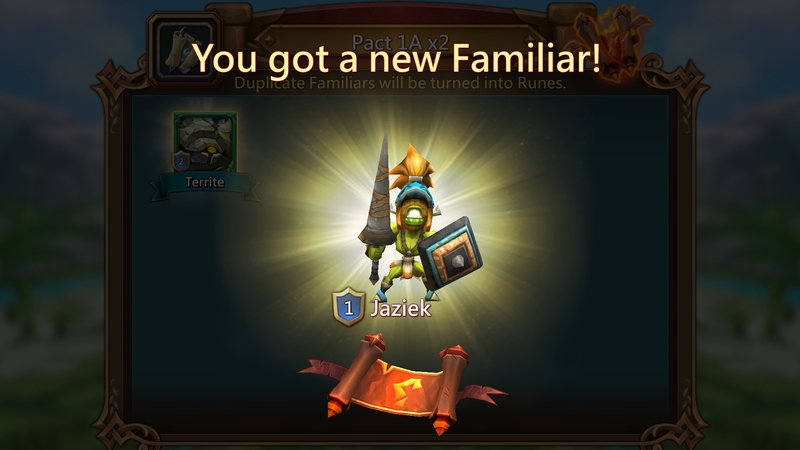 Every new player starts the game with a 3-day shield. The player must never break his shield during this time as he is vulnerable and it would affect his initial progress. While under a shield the player must train sufficient troops to gather resources. The player must always have an active construction and research. The first things to research would be the monster hunting tree and economy tree. The monster hunts give a lot of free loot so it is very helpful. New players must invest all their talent points which they receive from leveling up, into the construction and research tree and then move down to resource gathering speed. 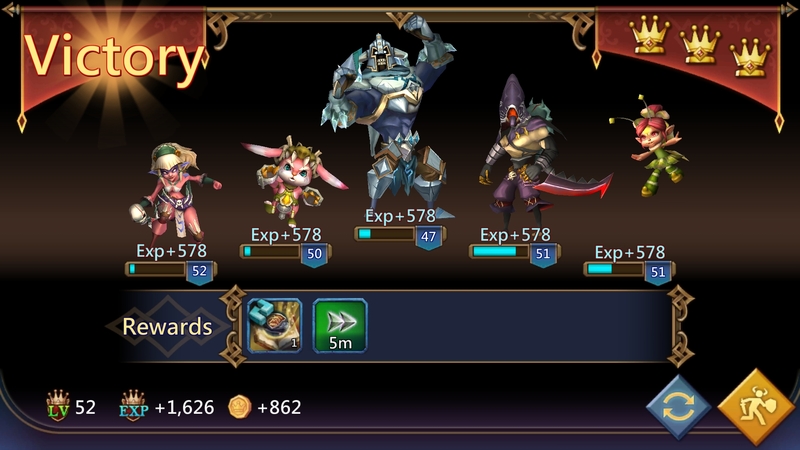 When they are sufficiently strong enough, above castle 23 with t3 and over 100 million might only then should they reset the talent points and invest them into military. The gear sets for new players should be categorised into three parts, the gathering equipment, research equipment and construction equipment. Each of these equipments give the respective bonuses. The lunar flute is the first research equipment to focus on. For construction the sentinel's circlet is the best. For gathering the player must forge the full Noceros event equipment set. New players should always try to have enough infirmary capacity to heal all their troops while defending. Another piece of advice would be to shelter the leader and high tier troops whenever going offline for long periods of time. Once a leader is captured the active bonuses from talent points and equipment sets can no longer be used so it very important to shelter the leader when a player does not have a shield. A new player must always join a guild with active players and never forget to collect gifts. Playing in a hive can help to protect the player and share resources and information. The players receive guild coins for helping guild mates and the best way to use these guild coins is to buy jewel chests with them. Jewels give great bonuses when inlaid into equipment. The game chat can be synchronized with 'WeGamers' and players get a huge incentive by being able to buy 'Lords Mobile' bundle packages by redeeming 'WeGamers' points. It also helps in communicating with the guild members. Last but not the least every new player must enjoy the game and make friends. This game is extremely unique and it promotes diversity. It has amazing events to keep the player interested all the time and the gameplay is so varied that it never becomes monotonous. All in all, this game is an absolute treat for the entire gaming community.